Gum disease can cause bleeding, swelling, bad breath, pain, receding gums and tooth loss. But it doesn't always stop there. You oral health is connected to your whole body's health and wellness. 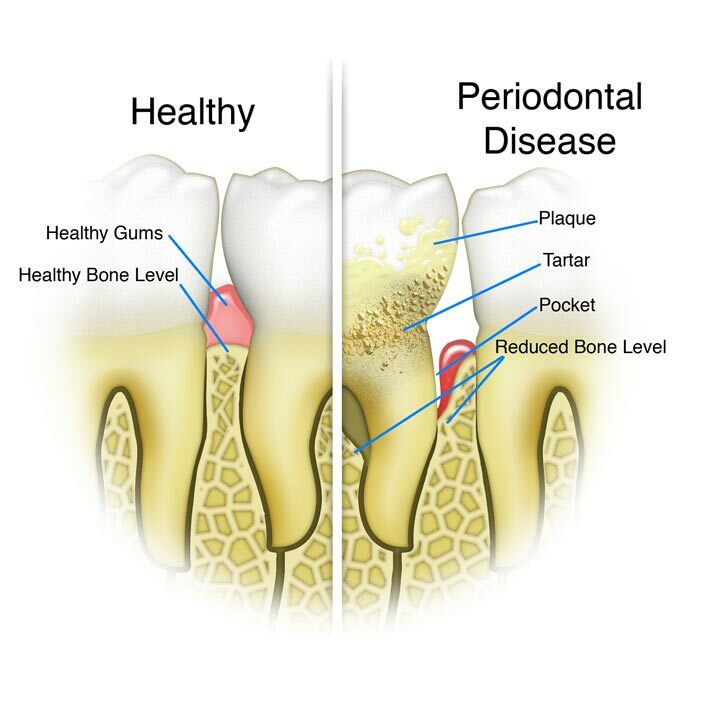 Periodontal treatment typically involves containing the bacteria through deep cleaning. This deep cleaning consists of scaling and root planning which clears the bacterial buildup along the root of the teeth. We also suggest specific toothpastes and mouth rinses. In severe cases, we may refer you to the care of a periodontist, a dentist who specializes in gum care. We examine you for gum health at every 6-month check-up. If you have been experiencing any symptoms like bad breath, bleeding or tender gums, please let us know.